Inspired by the second series of ‘Game of Thrones’ and Arya with her “Needle”, about to be upon us, I thought it is time to look at the pointy end. Just how pointy an end do we need/want, and how do different needles (particularly circs) compare. This is a scattershot selection from some of the different brands of circ I have. I have bought everything I’m reviewing here, and so am ‘impartial’. Well, so far as anyone can be impartial about something so important but also subjective, as tools of the trade. I looked at Signatures, Chiaogoos, Addis, (lace and ordinary), Knit Pick Harmonies, and charity shop randomers, probably 1980s’ Aero/Inox/Prym. Apologies for the poor photography. Click to enlarge, btw. 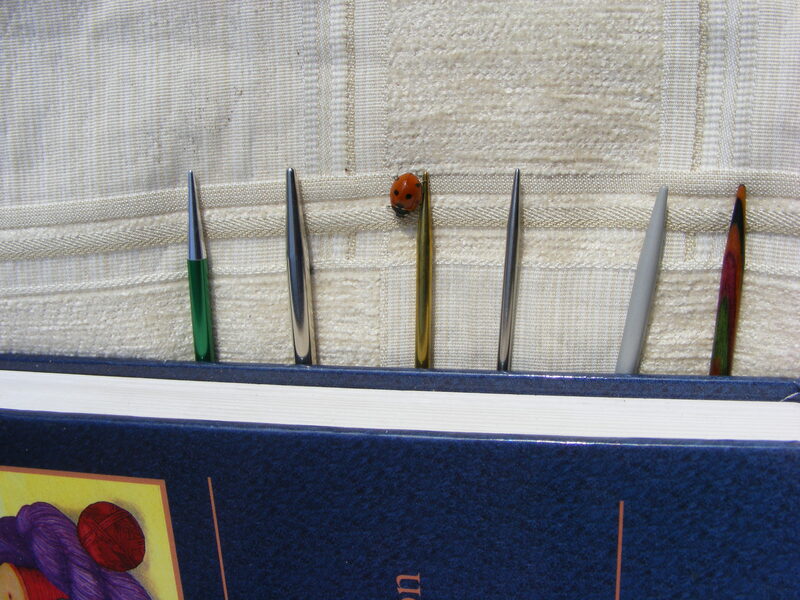 Blame the ladybird for distracting me. And I finally found a use for Alden Amos’s Big Book of Handspinning: pinning down errant circs. Needles different diameters, but all we’re looking at here, is the comparative pointiness. Now, some knitters like pointy, some don’t. I saw on a dyer’s site a recommendation to use blunt needles with a very smooth, slick, splitty but goregous silk yarn. Which struck me as interesting as for me, it’s the other way – the splittier a yarn, the better I like a pointy end, as you can work with more precision. Shows how subjective this is. But bear in mind, when I comment, I am a fan of the pointiest of points. The bluntest needle is the old Aero, closely followed by the KnitPicks Harmony. Pointy often helps for things like lace knitting – all those K2togs, K TBLs – and also when you’re cabling a lot. I find pointy helps when I’m putting right my mistakes, too. Also, when you have ripped back something and have to pick up stitches, or when you’re picking up from a finished edge like an arm scye, to knit a sleeve down from the top. Something you’re constantly doing in traditional knitting. Some people use pointier for one project and blunter for another. I just go for the pointy for everything. Signature yet again, are ahead of the pack as they offer you a choice of points; blunt, middy, or stiletto… Apparently, the stiletto are the best-sellers. Cable needles come with one blunt point, and one stiletto. Knitters don’t just want pointy, though, they want slick and ‘fast’ metal needles and go to wood or bamboo if they’re looking for grippy. I hate wooden needles (impulse bought those Knit Picks) and bamboo actually makes my tongue curl. The needle with way the best finish is, for me, the Signature. For small projects, if you don’t have a preference for magic loop, then Signature dpns are – for me – not the kings of knitting needles, nor even the emperors… but the gods. They have a different finish to the circs and straights – they appear slick but are actually minutely cross hatched to give them just enough grip to hold your stitches in place, but not so much you sacrifice the slickness. Really hard to explain in words, but they’ re unique. I’ve had mine some time and they take a fair battering, but still not a scratch or mark on the finish, either. The circs are slick and don’t have the cross-hatching. Here you can see the old, now discontinued, second generation Signature circs (green) and the new fourth generation (gold). Signatures are colour coded according to size, and the colours are consistent across the range so the green there is 4mm; the gold 3.25mm. I understand Addi are going to be making the Addi Lace (currently brass) nickel plated, like the ‘ordinary’ Addi circs. The brass needles of the current Addi Laces are hollow therefore light (also bend if you sit on em, as I discovered), and covered with resin coating. Some people find the oils in their hands react with the brass, to make an odd smell. I have never really been bothered by it (having 5 sons, odd smells are par for the course round here).Addi Lace was my circular weapon of choice for a long time. 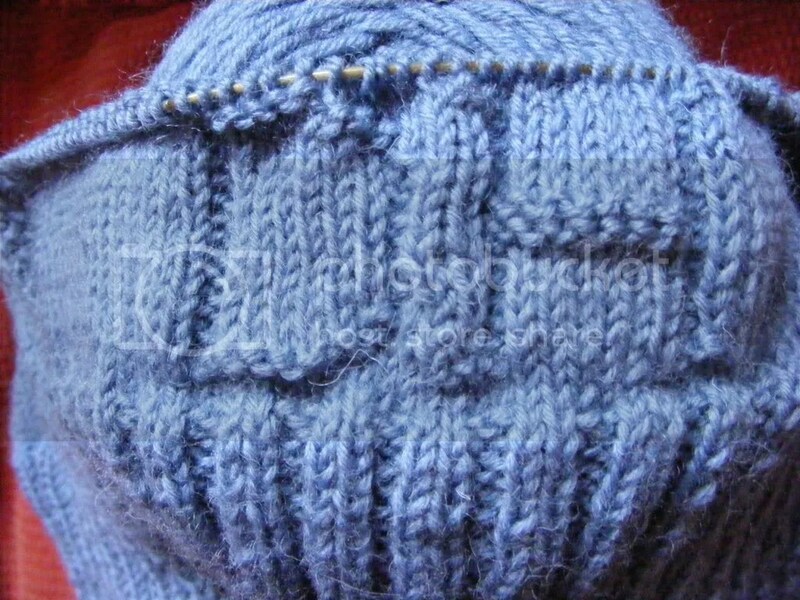 Most ganseys are knitted on 2.5mm needles, sometimes 2.75mm. At the moment, Signatures only go down to 3.25mm – something to do with the fact they’re made from aircraft grade metal and the engineering makes different demands down to the finer sizes. They are working on going down finer though, and if they make it to 2.5mm, I will be first in line. Til I can get a Sig in 2.5mm, I am happy with either ChiaoGoo or Addi Lace. The points I find very similar, but I prefer the slightly floppier cable of the Addi. ChiaoGoos are made from stainless steel. They’re sturdy strong and extremely ‘fast’. If they are race-horses the old Aeros and the Knit Picks are donkeys, by comparison, with their slow, grubby-feeling finishes. Which brings us on to cable comparison. And again, I should add the disclaimer that this too, is highly subjective. I favour a not too stiff cord, which is memory resistant. L to R: Signature (new), Signature (old), Addi (ordinary), Addi (lace), ChiaoGoo, KnitPicks (oops, the wriggly Aero fell off the end). The old generation Signature had a heavy, whitish cable with a bit too much memory. These circs probably came to market before all the R and D had been completed; and Signature responded to customers, by evolving the black cable you see on the gold coloured needle. It has no memory; is soft but not too soft, and like the earlier ones, has the advantage of swivelling in its housing, meaning it never gets all snarled up, as it moves with you. Again, you get what you pay for: Sigs come with cables of customised length, so you can have anything between 24 – 47″ or even some other length, absolutely to your requirements. The two different Addi circs have different cables, too, either a red or a gold. Both of these are excellent. The Addi cables are slightly stiffer than the curren Sigs, but not so stiff that they are annoying. Needle size and cable length are printed on the cord which is incredibly handy, as it’s hard to see at a glance which circ you have pulled out, as a rule. I like the Addi cords just fine, but I like the Signature cords more is the only way to summarise, really. ChiaoGoo have a distinctive red cord made from nylon coated steel. Now I love the ChiaoGoo needles but dislike the cord. The cord looks great, but is just too clumpy and heavy, and once you are used to the swivelling cord sockets on the Signatures, you really notice the ‘static’ nature of all the other brands. It is not a bad needle at all, though, and in projects where a stiff-ish cable is not a disadvantage, they’d be a good choice. I wouldn’t like to magic loop with them. On the other hand, they’re well made and sturdy, which is an advantage. I should add that lots of people happily magic loop with ChiaoGoos – I just think they’d interfere with my tension a bit too much. I can’t find it to photo it for you, but I did find a 1950s or 60s cable needle in a charity shop once. 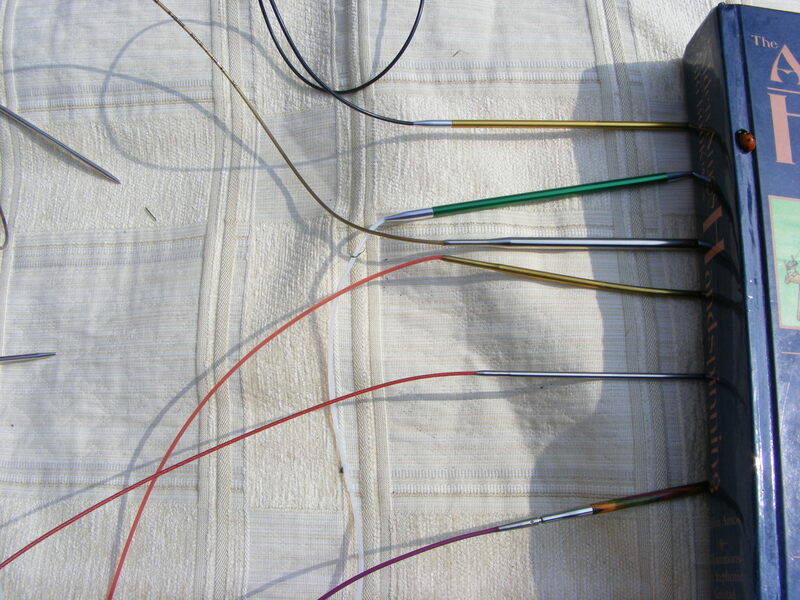 It had a heavy steel (uncoated) cable and the minute I saw the ChiaoGoo , I thought of the vintage needle. 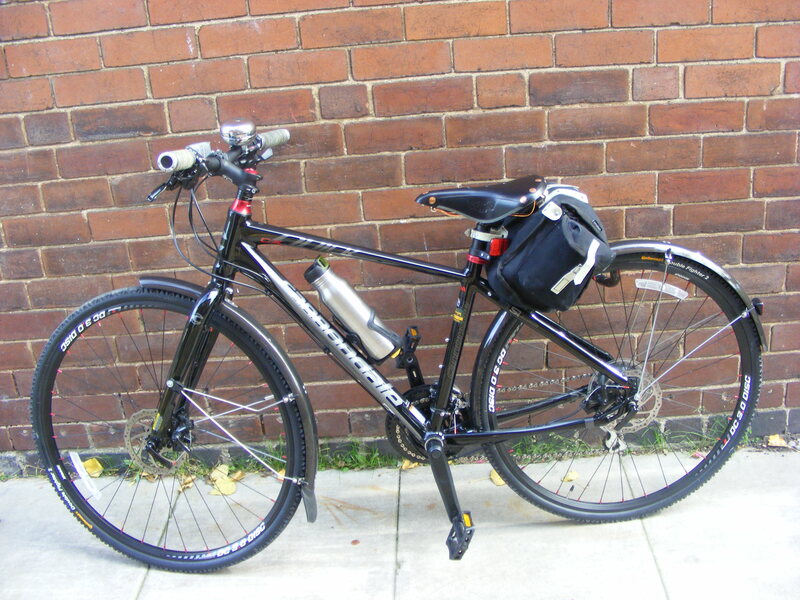 That said, the ChiaoGoo has one of the smoothest intersections from cable to needle – really nice. Just the cable is a bit too hefty for my personal taste. The needle itself, is really, really good for the money. 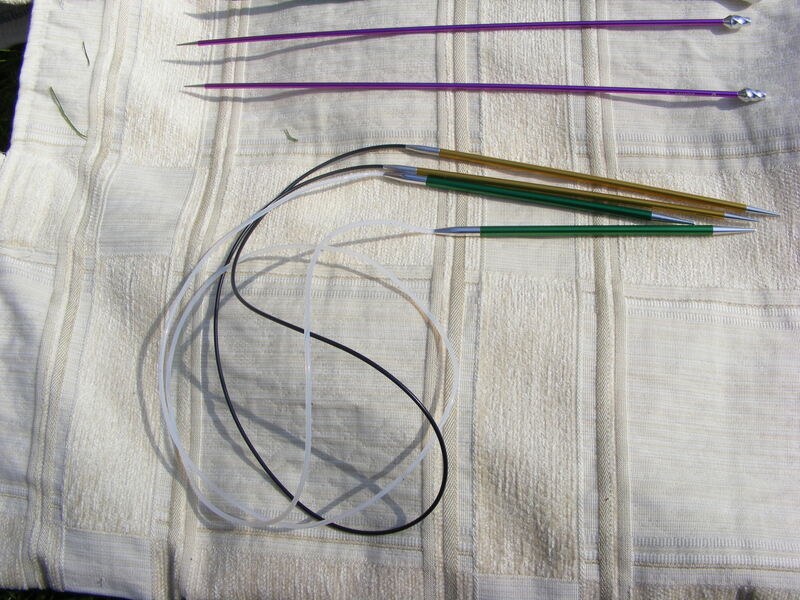 Only one of these needles is an interchangeable, btw – the Knitpicks. And this is the only needle reviewed where I’d say the join is just awful. My experience with it was so dire, (losing a 300 plus stitch lace project when the cable drifted apart), that I have never, and will never, use any brand of interchangeable again. I have seen all sorts of inventive MacGyvering with this brand on Rav – people recommending to glue the cable in to the fixy onny bit, etc but to be honest, it’s not doing what I need it to do if it is making work for me. I want to pick up a needle and knit – not have to re-engineer it before I can use it. Its selling point is that it is cheap. It’s a needle I’d use at a push, but really would rather not. I will leave you with some recent purchases, as I think you deserve some eye-candy after reading all about needles. Blue laceweight courtesy of Ripples Crafts, and silk caps dyed by The Mulberry Dyer. Gansey seam stitches based on Gunnister stocking's seam. Recent years have seen a resurgence of interest in traditional knitting. Ganseys or guernseys are being knitted, worn and enjoyed, by a whole new generation. 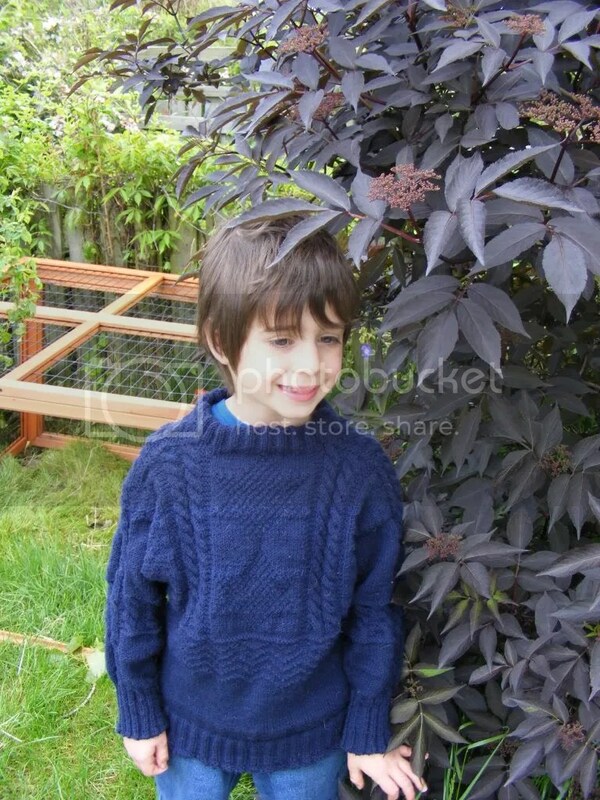 Ganseys are jumpers knitted from 5 ply, unoiled, worsted-spun wool. Traditionally, they were often navy blue, cream or grey; occasionally red. For interest, they are one-colour, so rely on the knitter using purl stitches that stand out in relief from the fabric; rather than two-colour knitting like Shetland or Fair Isle. They are knitted in one piece, the round, with the body knitted up from the welt and the sleeves knitted down from the shoulders. As opposed to most contemporary knitting, which has the sleeves knit from the cuffs, up.This makes a truly seamless garment, although seams were often simulated with a ‘seam stitch’, either side. Most ganseys have a diamond shaped gusset under the arms, for ease of movement and to save wear. As a working garment, they were often knitted to fit the body tightly, so the wearer wouldn’t get caught in machinery. Researching for my forthcoming book, ‘River Ganseys’, I uncovered new information that challenged some old myths. For example: we think of them as “fishermen’s jumpers” now, but ganseys were worn by all kinds of people, not just fishermen. The word ‘gansey’ has long been interchangeable with ‘guernsey’ – leading to some confusion around its origins. According to the OED, 1851 is the first known usage. I managed to find references from around 1820 onwards – but it was sometimes unclear whether they were mentions of knitted pullovers, or the older sewn garment, ‘Guernsey frocks’, which were made from woven canvas, and worn by fishermen and farmers as a sort of work overall. The modern word ‘yarn’ comes from the Old Norse ‘garn’ (Old English ‘gearn)’. That initial ‘g’ in Old English was actually pronounced more like a cross between a ‘h’ and a ‘y’. So the ‘gan-sey’ may just be a corruption of ‘yarn-sy’, ie: “thing made from yarn”. In the Yorkshire Dales, thick ‘bump’ yarn was often called ‘bump garn’ in dialect – right into the 20thC. The whole “Guernsey” thing came later and has confused endless historians. As the island of Guernsey happened to become a centre of excellence in hand-spinning around the 17thC, people assumed ‘gansey was a corruption of ‘guernsey’ and the two were interchangeable. Costume historians have only been able to find references to ‘ganseys’ from the 19thC onwards. So how did ganseys develop? Mentions of ganseys become more frequent from the 1830s onwards, in newspapers. By the 1850s, we have photographic evidence of some highly evolved gansey pattern motifs. Patterns so fine they can’t possibly have come out of the blue, fully formed but must have evolved over years. It looks like they developed from around the turn of the 18thC/19thC. This would figure, as the kind of wool needed to make relief patterns stand out (what knitters call “pop”) , is fine, machine spun worsted. Ganseys developed once worsted was machine-spun, and machine spun yarn became more prevalent around 1800 onwards. To find the gansey’s ancestry, we have to look further back in time. In the Museum of London, is the knitted silk shirt of Charles I, the king we so rudely interrupted with a beheading in 1649. The shirt only survives due to the status of its owner. Structurally, Charles’ shirt has all the same elements as a gansey: under-arm gussets, it is knit in the round from the bottom up, and is reliant on plain and purl relief stitches for its visual interest. 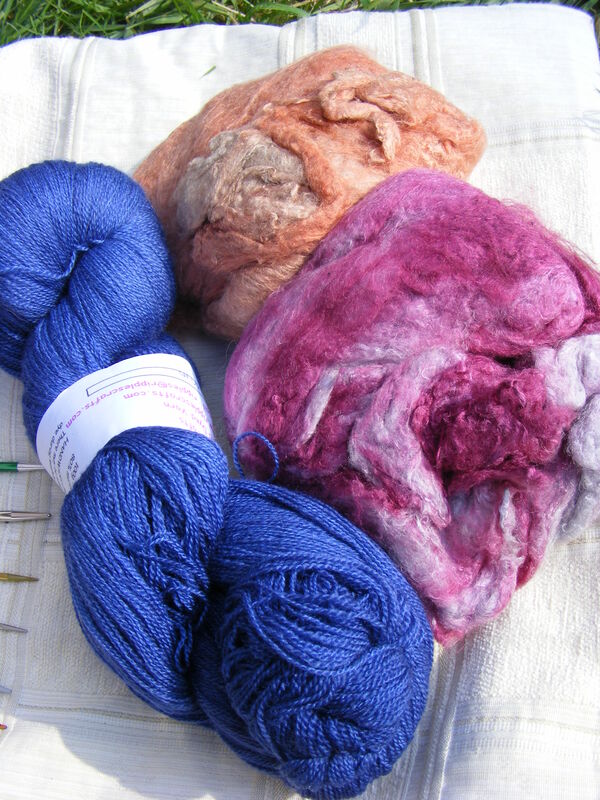 Spun silk is, like machine spun worsted, smooth and glossy: ideal for making the purl stitch patterns pop. It is not unlike the Scandinavian nattrojer – and some extant pieces of 17thC knitting are indeed, reputed to be Scandinavian imports. The UK and Scandinavia have always had close ties. Other Scandinavian knitted silk jackets dating from the 17thC and 18thCs have survived. These are high status garments. The National Museum of Oslo, Norway, has a number of 17thC silk knitted jackets where the abstract patterns purled onto the garment, was a ground for gold wire embroidery. The purl patterns on these old garments are tessellated, and generally an allover repeating pattern. Ganseys were to evolve with horizontal or vertical bands of changing patterns, as well as some with a single, allover repeating motif. Some lower status clothing had a similar structure to the gansey, too. The Museum of London has a simple, woollen 17thC knitted baby’s vest. It is plain with no relief patterning but in terms of knitting method, remarkably similar to a gansey, and knitted from the bottom up. In a Walter Fisher portrait of a Filey fisherwoman, you can see white knitted jersey under her bodice. She also wore a knitted montag shawl and socks. The undyed white jerseys were worn close to the skin, but the long sleeves were visible under the women’s bodices. The plain white jerseys worn by Yorkshire fisher-lasses are never mentioned in dispatches in knitting histories. Yet we can clearly see something transitioning from underwear to outerwear, there. The fisher-girls’ plain white under garments knit in fine wool (most likely, 4 ply or finer) resemble nothing so much as the sporting ganseys worn by Victorian gentleman gymnasts and early professional athletes – ancestor of the modern machine knit football or rugby shirt. There is also an absence of any other evidence for ganseys before the 19thC, in inventories, wills, lists of army and navy provisions, etc. It seems ganseys, as outerwear, are a 19thC thing. 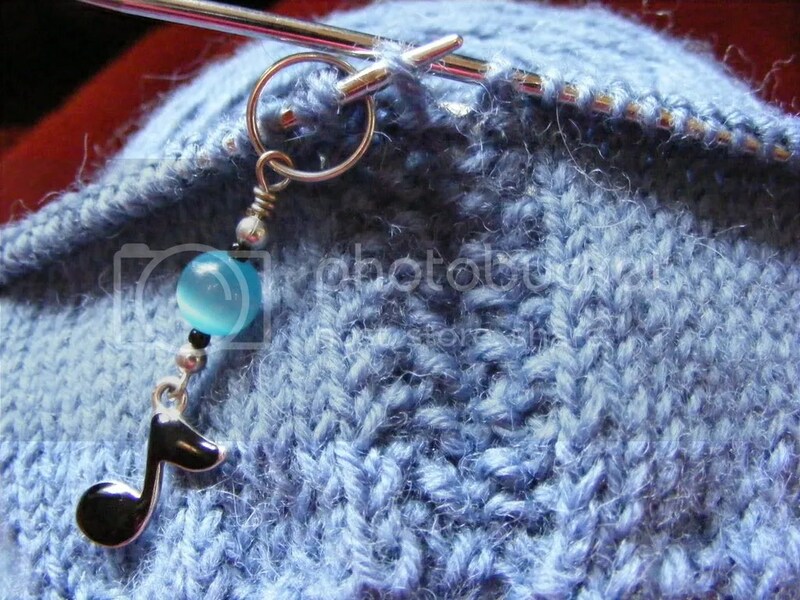 They were generally knit at a tension of around 7 stitches per inch, usually with 2.5mm or 2.75mm needles. Contemporary knitters make socks on needles this tiny, but many would hesitate to make a jumper on them, knowing how many tens of thousands of stitches one project might involve. 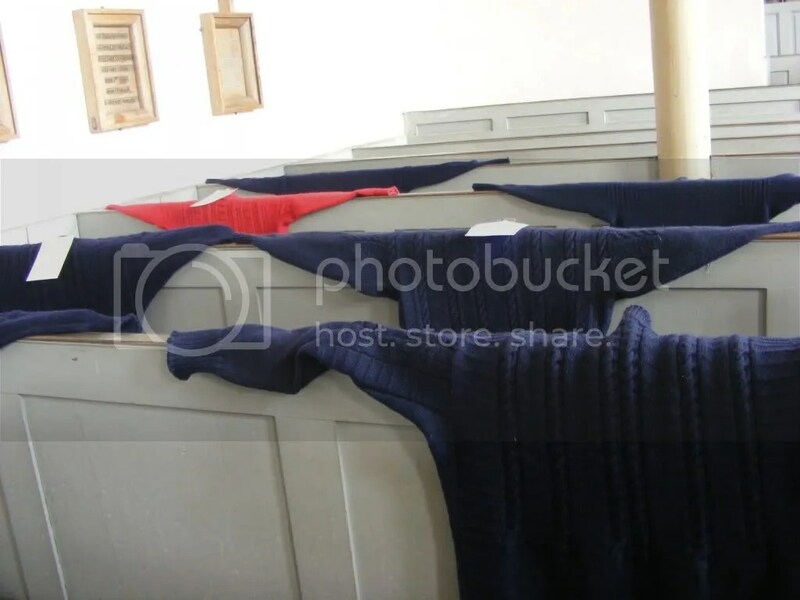 In fact, the tension could be even finer than that, and there are some old ganseys – like one in Whitby Museum – which are knitted from 4 ply yarn, even finer than the usual 5 ply. This makes for a firm fabric – but not a waterproof one. Traditional knitters worked fast. . Knitting was not a leisurely pursuit. In Yorkshire, farms were bought on income made from knitting. York’s Spinning and Knitting School was a charity school that in the 1780s, would only admit 7 year olds, if they could already knit a stocking in a week, or under. Given that an 18thC stocking might have more stitches in it than a 21stC adult’s jumper, it’s apparent that high speeds were reached. A competent contract knitter might expect to work at a rate of 200 stitches per minute. In ‘The Old Hand-Knitters of the Dales’, more than one Dales Knitter mentioned their mothers or grandmothers knitting an entire jumper in a week. These people would now be up there vying for the World Record; only a handful of contemporary knitters can hit those speeds. Knitting history was largely ignored until the middle of the 20thC, when a few pioneers, like Gladys Thompson, started interviewing gansey knitters, and collecting and publishing their patterns. Early TV Knitter, James Norbury, also visited the history of knitting in the introductions of his many knitting books, and ‘Traditional Knitting Patterns’, 1962. There are many myths that were created and perpetuated by these early knitting historians. One that to this day is even repeated by traditional knitters themselves, is the idea that “Each village had its own distinctive pattern”. The truth was, fishing families were almost the only truly mobile section of society. At a time where most labourers had to settle in one parish or risk not receiving poor relief, and often were born, lived and died in one place; fishing families moved. 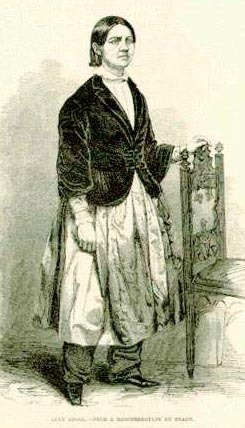 In my researches I found Grimsby girls marrying Cornish fishermen at the same date my own farming ancestors would be thought exotic for marrying someone from two villages away. When you examine old photos of ganseys, the same patterns might crop up in Scotland, Yorkshire, Norfolk, and Cornwall. The conventions of publishing meant, many early knitting writers wrote their book in a travelogue format, so if a pattern got recorded in the ‘Filey’ chapter; to generations of successive knitters, that became a ‘Filey’ pattern. Surviving photos give a different story with that same ‘Filey’ pattern turning up in Polperro, or Robin Hood’s Bay, or Yarmouth. Ganseys can be broadly characteristic of an area, or even place. For example, some areas favoured vertically arranged patterns; some horizontal; some covered everything with ropes (cables), others didn’t…. But their distinctiveness, and different patterns’ exclusivity to certain towns, even families, is exaggerated. Which also suggests the diversity of patterns. The photographic evidence does not support the romantic idea of ‘family patterns’. If you examine Lewis Harding’s famous Polperro portraits of 1860s fishermen, you can see immediately that within a single, entire family group, (for example, the Jolliffs, photographed at various times), there may be several wildly different patterns going on. In Rae Compton’s ‘The Complete Book of Traditional Guernsey and Jersey Knitting’, there is a Filey photo of the four Crimlisk brothers. Wearing different ganseys. Patterns also famously moved round the coast with the herring and the well documented herring girls. And I think if we accept there is a huge cross fertilisation between Scottish, Norfolk and Yorkshire patterns – then during my research, I discovered the Yorkshire inland ganseys were massively influenced by those of the Netherlands, who shared a gansey tradition with England and Scotland. The Ouse and Humber vessels sailed daily to the Netherlands, and some Dutch gansey patterns were called ‘English’. Patterns changed, evolved, and were subject to new influences. Women would admire eachother’s handiwork – and have plenty of time to commit to memory – new and interesting patterns, whilst at church or chapel of a Sunday. I started my odyssey into knitting and researching ganseys, in the 1980s with the publication of Michael Pearson’s ‘Traditional Knitting’. It’s about to come full circle later this year, with the publication of my own ‘River Ganseys’. When researching my family history, I discovered some of my ancestors were Humber fishermen; others were vessel owners, and horse marines on the river Ouse. I decided to try and find out more about the ganseys of the inland waterways, as so much material has involved coastal ganseys. I wanted to find out patterns and motifs that might typically have been knitted by my own ancestors, and bring an almost lost piece of our heritage back into the daylight. Humber and Ouse fishermen – like fishermen everywhere – had their own set of superstitions and beliefs, which informed the choice of gansey motifs. And sometimes, dictated what to avoid. Nets or ‘masks’ – diamond shapes – were seen as particularly lucky, maybe because they had a very direct reference to catching fish. One common Yorkshire motif, the ‘Eye of God’ was seen as protective. And also a reminder to the wearer that God, if not the gansey’s knitter, was watching them in distant ports. Researching the famous ‘Humber Star’ motif, I discovered that Humber and inland fishermen, were often devout Methodists and members of the ‘Bethel’ chapel. The Bethel’s symbol was… a star. No doubt, the star conferred protection on the mariners, at work. Other gansey motifs like ropes, steps, ladders, fish, seem to be a nod to their environment. ‘Sunk Island’, commissioned originally by the entirely wonderful Shannon Okey, uses some typical Humber/Ouse motifs: the Humber Star above the waves. 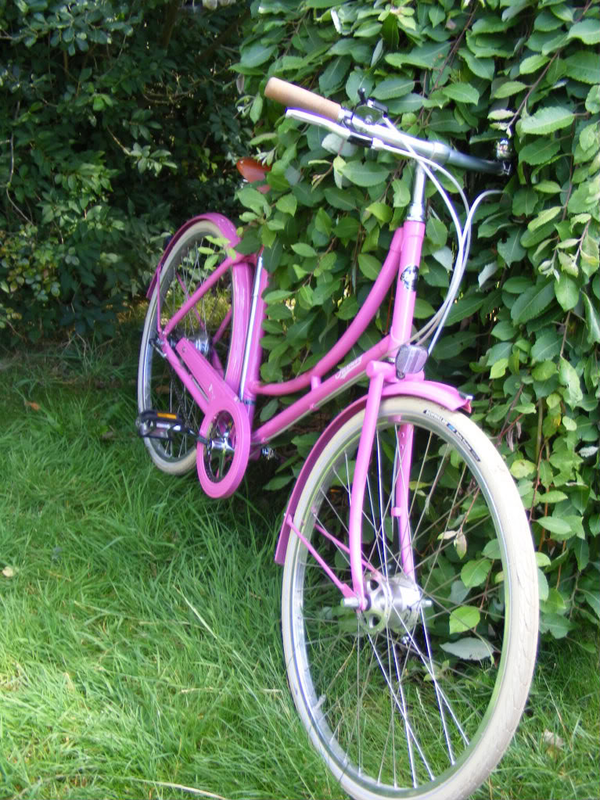 Almost any motif pattern can be found in various parts of the UK; both inland and coastal. Only one gansey motif is thought to be unique to one area: the Humber Star. As a child’s gansey, ‘Sunk Island’ is a not-too-daunting first foray into ganseys. Many gansey knitters start with a pattern from a book, but soon feel confident enough to develop their own, unique designs and ideas, as the gansey is a very straightforward shape, it makes a great blank canvas for improvisation. As Elizabeth Zimmerman remarked, nothing in knitting is entirely new – we ‘unvent’ rather than ‘invent’, she said. In gansey knitting we are playing with some patterns that are over 200 years old. But nothing is cliched, as everyone can combine and recombine, refine and evolve, what appeals to them, from within the tradition. Understand the tradition – then have fun with it. Make it your’s. It is your’s. ‘River Ganseys’ will be published by Cooperative Press, Ohio, 2012.